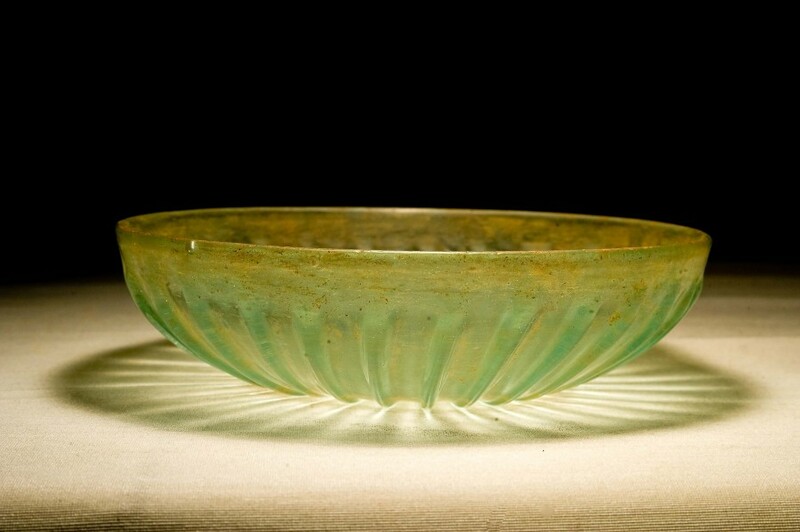 This stunning bowl shows hues of green and yellow in a natural display of the materials used by ancient Roman glassblowers. 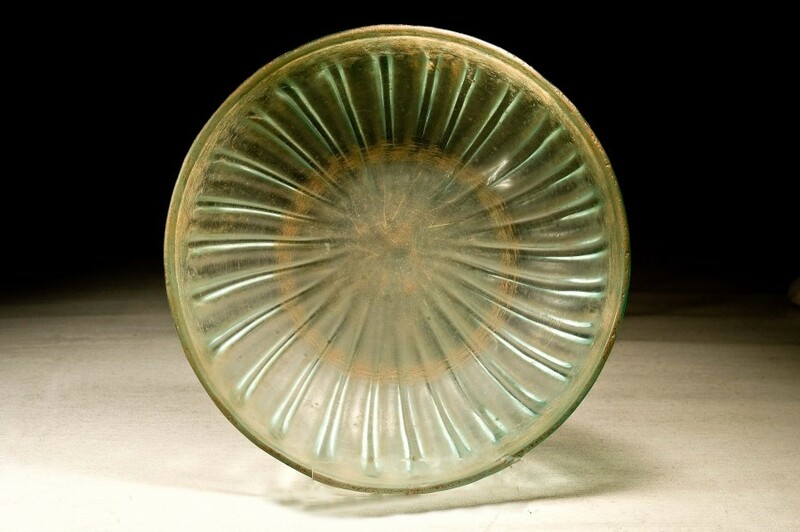 The rim is slightly splayed outwards, while the bowl’s body contains 27 masterfully shaped ribs. The bowl’s crafted ribs allow for light to dance on the glass’ textured surface, giving depth and weight to this magnificent object. This piece dates from 100 C.E. – 200 C.E. 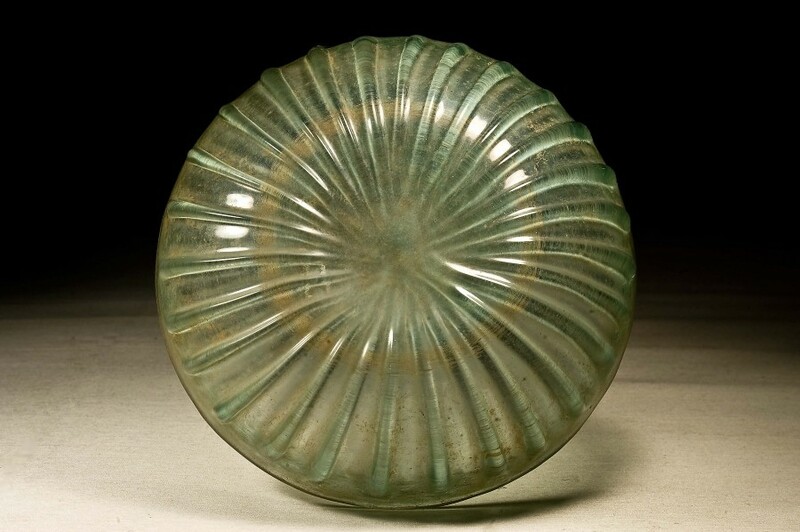 and has a diameter of 14 cm. It is in excellent condition and looks fresh from the foundry.